After weeks of delays, the Government has set out its White Paper on BBC Charter Review, stating its proposed reforms to the BBC. Key points for viewers include the closure of the iPlayer Loophole, portability of the iPlayer in Europe and an inflationary increase in the licence fee from 2017. The BBC Charter Review needs to be completed before the end of 2016, when the current Charter runs out, or else an extension to the current Charter needs to be made. Ongoing uncertainty over funding has meant that some changes, such as the move to create regional versions of BBC One in HD in England have been deferred to the new Charter Period. The White Paper confirms that a mechanism that links a viewer's licence fee details with an iPlayer login is a possibility. Similar systems exist in the pay TV sector, where a customer's subscription status are linked to their ability to log in to services. iPlayer portability in Europe is part of a wider debate within the EU and EEA on allowing viewers to legally take multi-media services with them on their holidays. The UK would need to co-operate with other countries on the matter, regardless of Brexit issues, as the UK has no jurisdiction over rights holders based in other countries, who may have issues with travellers by-passing local rights deals. Currently, objections by rights holders is the main reason why UK TV services can't be legally offered via the internet in most European countries. 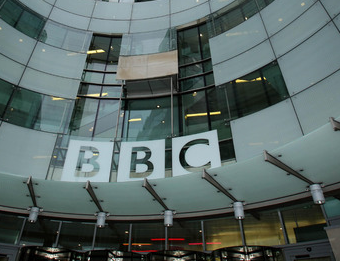 The licence fee will increase from 2017 in line with inflation, after being frozen in 2010. By the end of the decade, the BBC will take on the responsibility of funding free TV licences for the over 75s, although over 75s may choose to make a voluntary payment for the BBC. The free TV licences will not be abolished in this parliamentary period, but long-term it will be down to the BBC to determine who gets this perk. The new Charter will last for 11 years, with a review halfway through. Overall, the White Paper contains fewer threats to the BBC's existence than were previously indicated in newspaper leaks. However, the BBC will still need to make cuts of £800m a year by the end of the decade, and the BBC's Director General will soon make an announcement on where the axe will fall. The Government has also said that some of the BBC's services needed to made more distinctive - although its own research indicated that only a minority of viewers though the corporation's services were too similar to commercial TV and radio. The Charter Review must now pass through Parliament and a draft Charter needs to be published, in processes that will continue for most of the rest of this year.